Stevie and I are planning to do the Beacons Ultra Marathon in November. A 46 mile run around the Brecon Beacons. Fortunately with just a couple of huge hills rather than being too hilly. 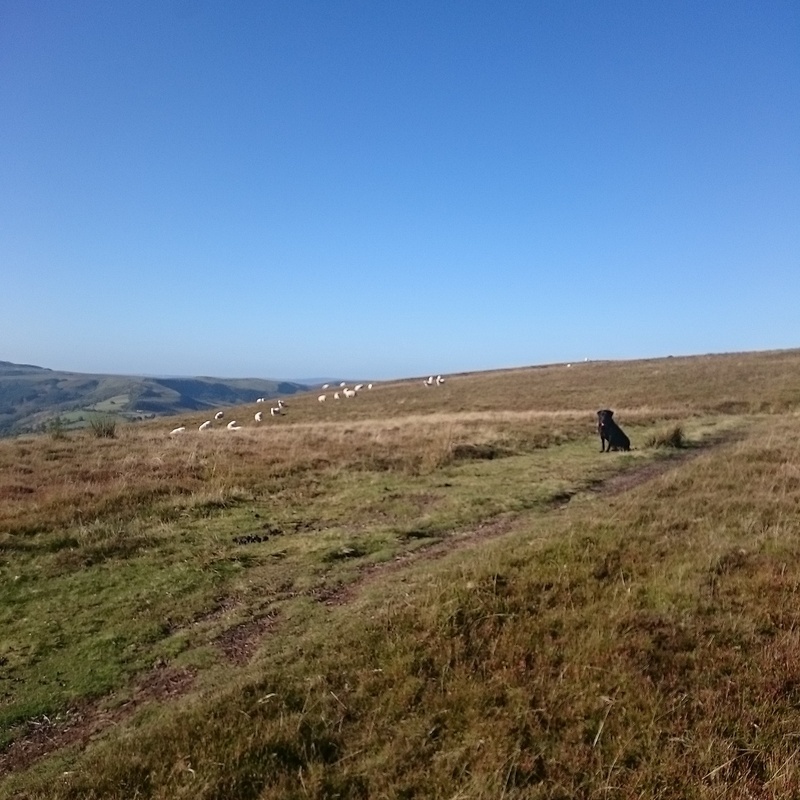 We did a loop of the 2 lap course this weekend, and smugly agree that the Brecon Beacons is the most spectacular landscape in the world. It starts at Talybont, but we joined the course at Cantref. 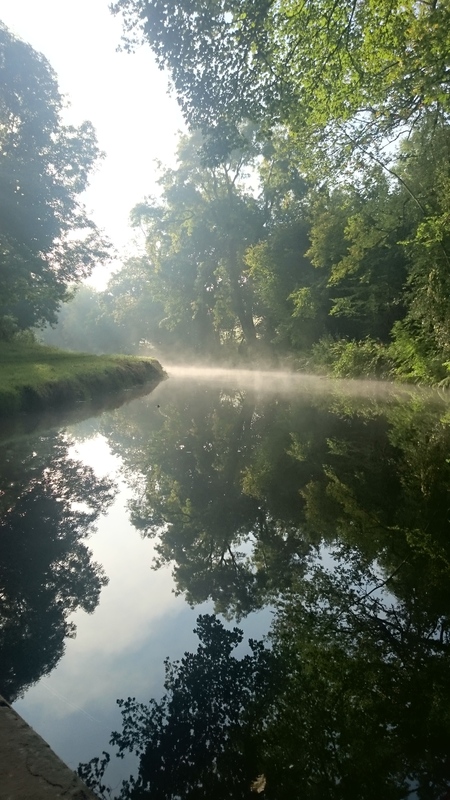 It starts with a relatively flat 12 miles or so to Llangynidr, along quiet roads, paths and the canal. It then goes up a steep hill, which would be perfect for sledging down, but is less pleasant to run up. Judy is having a rest at the (near) top in this photo. And a not-brilliant panorama from the top. I thought it would be award winning or something, but it was so bright and sunny I couldn’t see the screen. 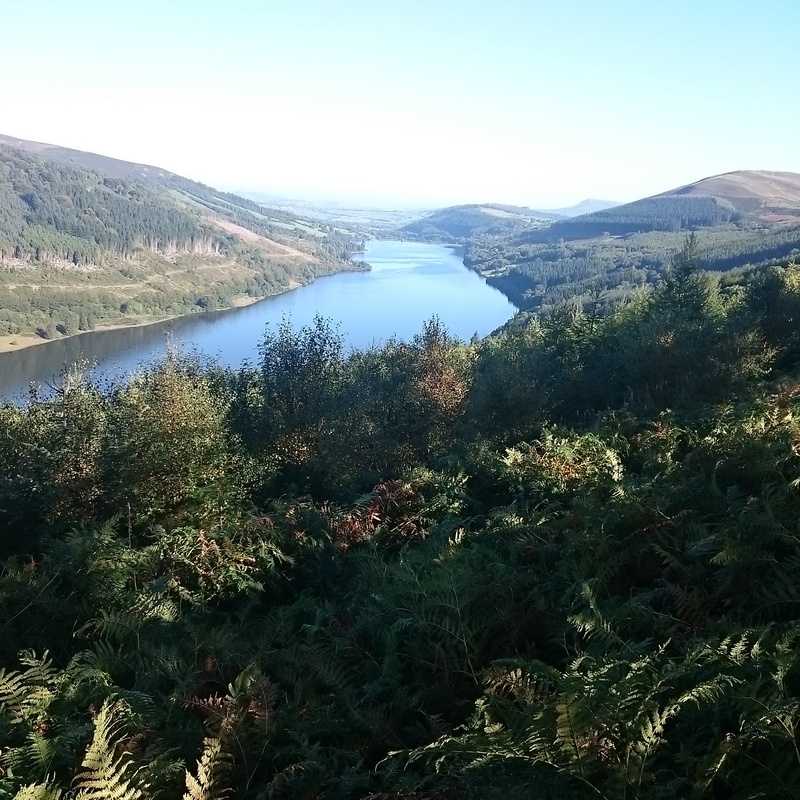 And then along the side of the Talybont Reservoir – pretty stunning, but I got a bit lost after taking a wrong turn above Talybont Reservoir and rather than going back to where I went wrong, I battled with the undergrowth.